After the break harvest really kicked into gear this week. One of the effects of mildew (and compounded by the hail storm later) was damage to foliage. 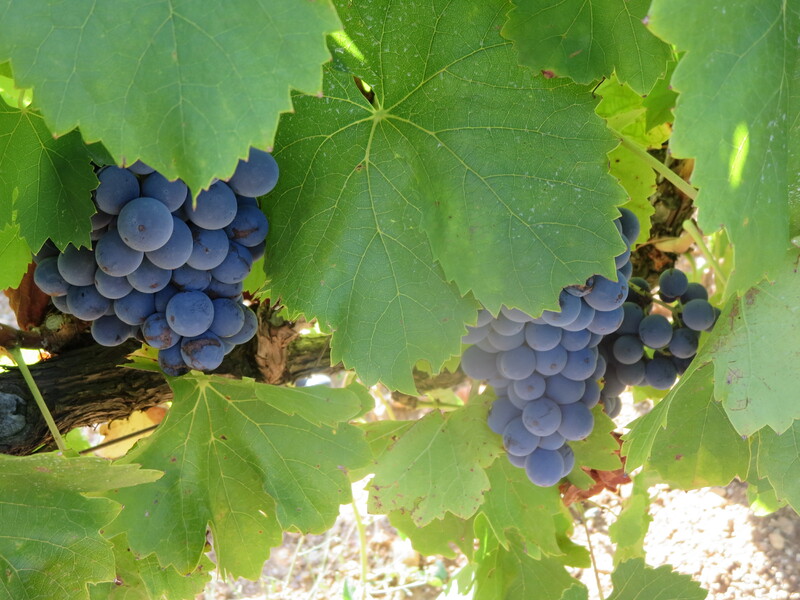 The vine uses the foliage to ripen the grapes but also to nourish itself via photosynthesis. Damaged and desiccated leaves mean that there comes a point where the vine struggles to ripen the grapes any more and, even worse for the winemaker, things go into reverse; the vine begins to take back nutrients from the grapes in order to feed itself. This will have consequences not just this year but into the future, as the vine has struggles so much and is weak, it will not be at its best next year and further ahead. 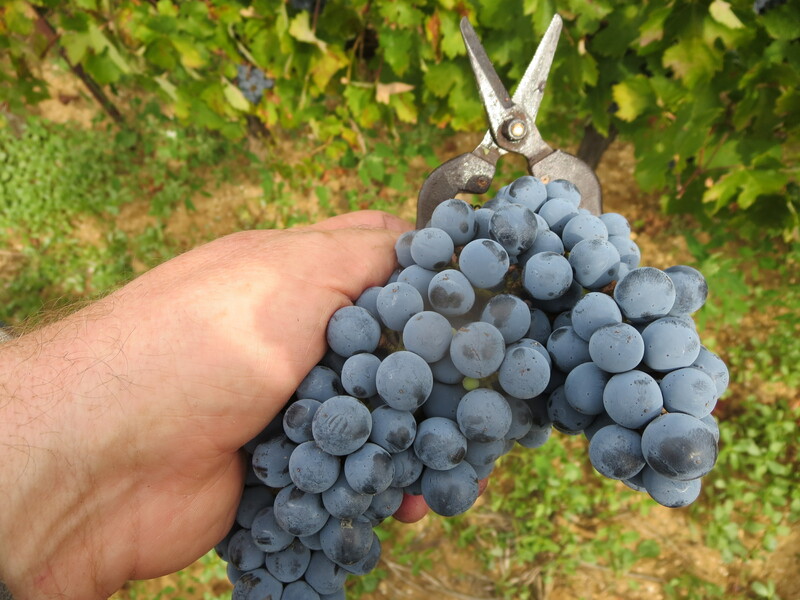 Therefore, Jeff Coutelou has had to spend a lot of time in the vines ensuring that he knows exactly the health and condition of the vines to get the best possible grapes for this year whilst being mindful about the health of the vines. A balancing act to cause him more stress in a difficult year. 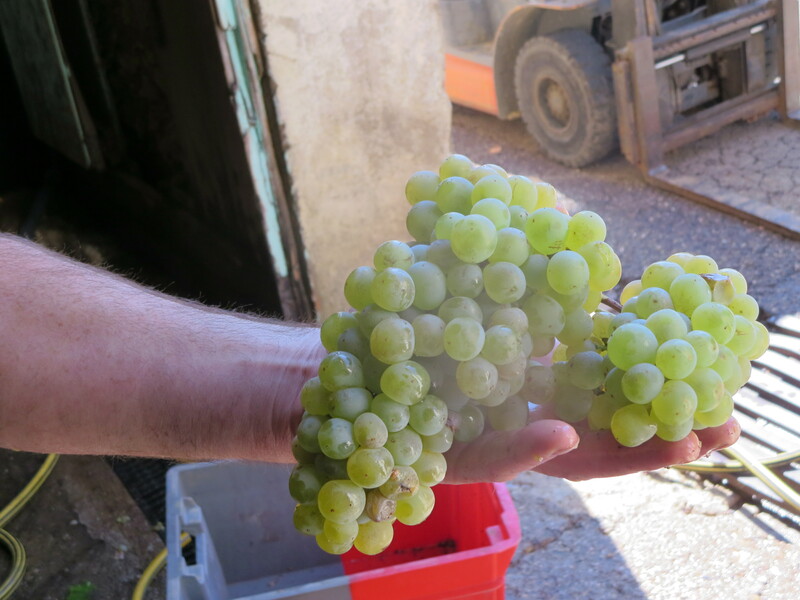 Tuesday saw some lovely Muscat being harvested from Peilhan, the grape which smells of grapes. The video below shows them being pressed and I wish I could convey the lovely fresh, grapey aromas which emerged from the press. This is Muscat being made for dry wine, in 2016 for example the Muscat D’Alexandrie made a lovely orange wine which we have shared at lunch. Afterwards the pickers moved into the 2015 plantation at the top of Peilhan, the 12 rows of Morastel, Terret Noir and Riveyrenc Noir picked to blend with Syrah from Sainte Suzanne where the pickers headed next. On a beautiful Wednesday morning the remaining Syrah was picked. Jeff decided to make a grappe entière wine so Julien and I headed into the top of the cellar to sort the grapes and send them through the chute into the tank. 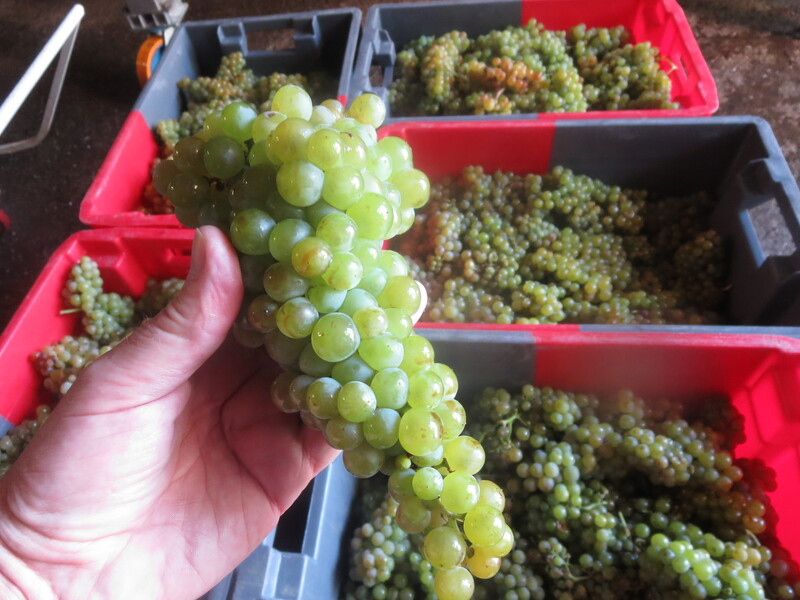 This had been given a dose of CO2 to encourage the fermentation of the grapes inside their skins. After a short period the skins will burst and the resulting juice will have a light, fruitiness. 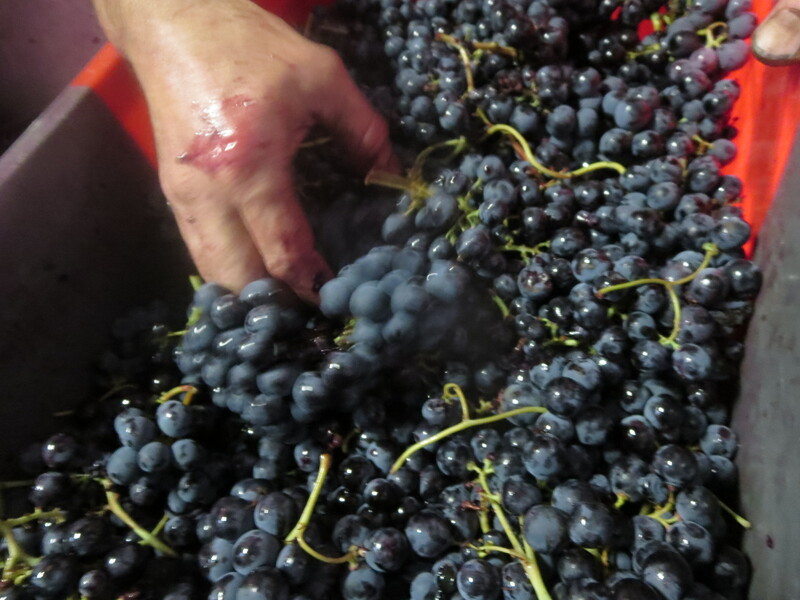 This process is called carbonic maceration. Sorting meant removing any leaves and other vineyard products such as spiders and snails. Mainly though we were looking for the dried grains of berries damaged by mildew and the green, unformed berries caused by millerandage. Onto Thursday and the deployment of two teams of pickers. 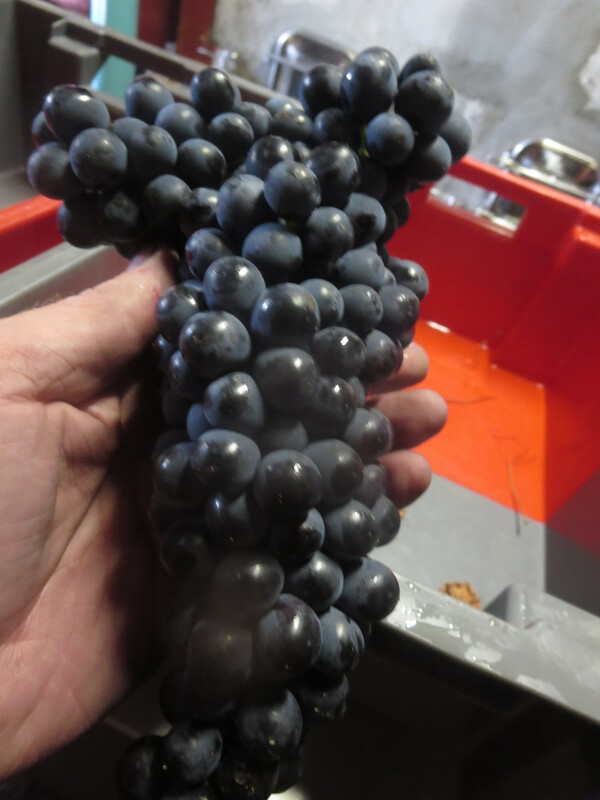 The Moroccan crew picked some lovely bunches of Macabeu from Peilhan before moving on to Syrah from Segrairals. We were also joined by a number of pickers who would tackle some of the more interesting vineyards. 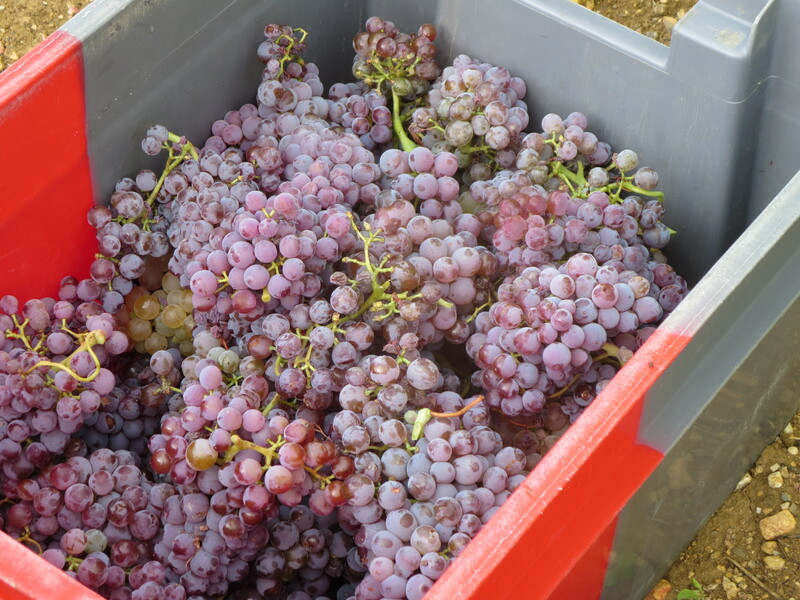 As a result of mildew damage in Faugères some growers have little or nothing to harvest and some of their pickers came to join the Coutelou team. And we were joined by Louis who, having completed his professional baccalauréat has begun a course to help him achieve his ambition of becoming a sommelier. His stage will certainly teach him a lot about vines and wines, the numerous cépages he picked will certainly have opened his eyes to the wide world of wine. This team picked my favourite vineyard, Rome, with its old Cinsault vines, Muscats of various kinds and all three versions of Grenache. In the afternoon the moved on to Font D’Oulette now simply referred to as Flower Power after the wine made from the numerous cépages in there. Using two teams meant that cases were returned thick and fast by Michel and Julien and I had a long, back breaking day sorting these grapes. I have to say the juice tastes great, fruity with good acidity. Now all we need is for the yeasts to play their part and ferment that juice into good wines. 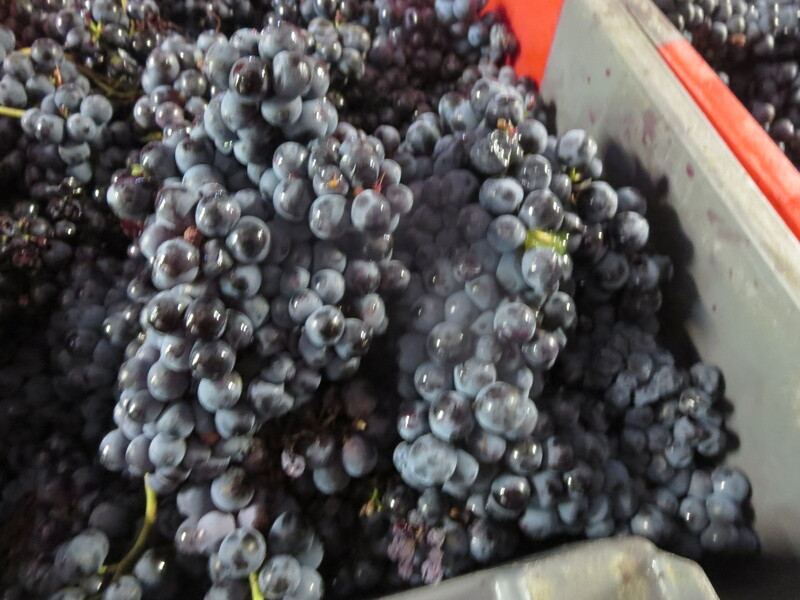 The picture below shows yeasts at work in a tank where some of the skins from the pressing of last week’s Grenache. As with the grapey Muscat these bready aromas deserve to be more widely shared. Vendanges is all about the senses. And, for Icare lovers around the world, he is taking a very keen interest in this year’s harvest. Categories: Vines, Wines | Tags: carbonic maceration, Cinsault, Coutelou, Flower Power, grappe entiere, Grenache, Macabeu, mildew, millerandage, Morastel, Muscat, photosynthesis, Riveyrenc Gris, Riveyrenc Noir, Rome, Syrah, Terret Noir | Permalink.